The Office Manager – eCentral Communications Manager! American Association of Dental Office Managers – Free Webinar! Aruba Inventory Management Software – This Week’s User’s Tip! This Week in Healthcare News – Omnibus Restatement of HIPAA! This Week from the ADA – Screening Solutions! Product Review – Defibtech AED! 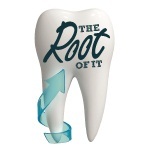 “The Root of It Commentary – Embezzlement Strike 3 in 5 Dentists! Give Kids A Smile – Friday, February 1, 2013! YOUR EFFICIENCY IS ESSENTIAL TO YOUR DOCTOR’S SUCCESS. Empower Your Team with Tools That Boost Productivity & Profitability! From the front office to the operatory, the office manager plays a crucial role in keeping the profitability engine of your practice tuned up and running smoothly. Discover the tools and resources that will streamline office processes and free up your team to focus on delivering better patient care—all while boosting profitability. This Week’s User’s Tip! – MSD Sheets! Maintaining MSD Sheets is required by law. If a patient or staff member has a reaction to a chemical based product, the “Material Safety Data Sheet” provides the first responders with vital information about the chemical agents. Any product you obtain from Henry Schein is stored in your order history in the Aruba System. By double clicking on the product description the product information window opens and the “MSDS’ button is clearly visible. Click on the button and the MSDS will instantly appear on the screen. Should you need to print it, right click and simply go to your print screen. Aruba Inventory Management Software, installation and training is available free of charge. Call cliff @ 201-321-7494 or cliff.marsh@henryschein.com. Health plans, their employer or other sponsors, insurers, fiduciaries, administrative service providers and other business associates have a lot of work to do. Health plans, health care clearinghouses and their business associates will need to review and update their policies and practices for handling and disclosing personally identifiable health care information (“PHI”) in response to the omnibus restatement of the Department of Health & Human Services (“HHS”) Office of Civil Rights (“OCR”) of its of its regulations (the “2013 Regulations”) implementing the Privacy and Security Rules under the Health Insurance Portability and Accountability Act of 1996 (HIPAA). The Rulemaking was announced January 17, 2013. Since 2003, HIPAA generally has required that health care providers, health plans, health care clearinghouses and their business associates (“Covered Entities”) restrict and safeguard individually identifiable health care information (“PHI”) of individuals and afford other protections to individuals that are the subject of that information. The 2013 Regulations published today complete the implementation of changes to HIPAA that Congress enacted when it passed the Health Information Technology for Economic and Clinical Health (HITECH) Act in 2009 as well as make other changes to the prior regulations that OCR found desirable based on its experience administering and enforcing the law over the past decade. There’s a distinct story to be told about the health of dental professionals, and the ADA Health Screening Program has been taking note of it for many years at Annual Session. The program has yielded value for dentistry and beyond. “The HSP is the oldest longitudinal study on the occupational health and safety of the dental team and includes the investigation of potential hazards such as HIV, hepatitis B and mercury,” said Dr. Greg Zeller, senior director, ADA Research and Laboratories, Division of Science. “The Centers for Disease Control and Prevention attended the HSP to observe the ADA methodology for collecting data on HIV prevalence and subsequently propagated the ADA approach with other groups such as orthopedic surgeons. Each year, sudden cardiac arrest strikes more than 400,000 people — and without intervention, less than 1% of victims survive. In fact, sudden cardiac arrest is the leading cause of death in North America. And it can affect people of all ages — anytime and anywhere. While there’s no way to predict or prevent sudden cardiac arrest, we do know that cardiopulmonary resuscitation (CPR) and defibrillation with an automatic external defibrillator (AED) within three minutes has shown to increase the chance of survival 70%. AED technology is so powerful that most CPR training courses now includes a section on the use of these devices. And yet, in a crisis, there’s no time to read a training manual. Fortunately, the Defibtech AED is simple, clear and straightforward to use. The Defibtech AED is built to exacting medical standards — but it’s also designed to be fast and simple for anyone to use. Watch this video to see how easy the Defibtech AED is to use. Why Does Embezzlement Strike 3 in 5 Dentists? Embezzlement, the word alone sends chills through every business owner. It’s the silent partner that you don’t know about. It happens all the time at every level and I have seen it firsthand too many times to count. A good friend of mine actually specializes in forensic accounting and the stories are never ending. The biggest mistake you can make is to think it can’t happen to you. I am available for private consultation if you should have any questions or concerns @ 201-321-7494 or cliff.marsh@henryschein.com. A licensed private investigator with an MBA and professional accounting designation, David Harris is CEO of Prosperident, the world’s largest company specializing in dental embezzlement Investigation. 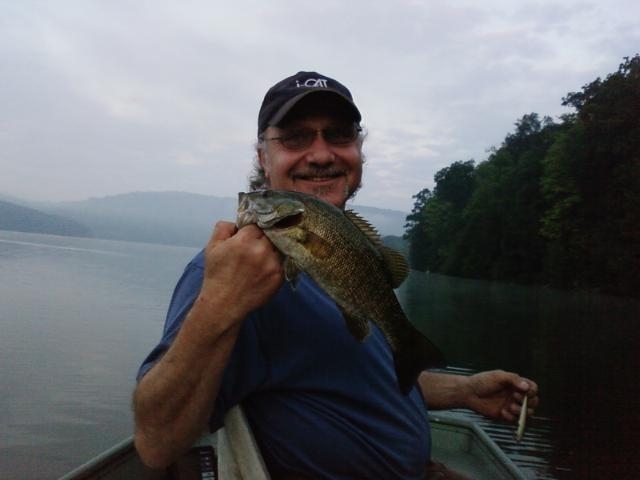 We were curious about David’s expert perspective on embezzlement, why it occurs, how you can spot it and what you should or should not do if you suspect embezzlement in your practice. His answers may surprise you. Today is Sunday January 28th. Give Kids A Smile is scheduled for Friday, February 1, 2013. You don’t have to be registered to participate.